Potato & Ajwain Stuffed Paratha.. Parathas are whole-wheat Indian flatbread. This can be made plain or stuffed with many different fillings.. Potato is one of the commonly used ingredients and cooked very often in every Indian house.. 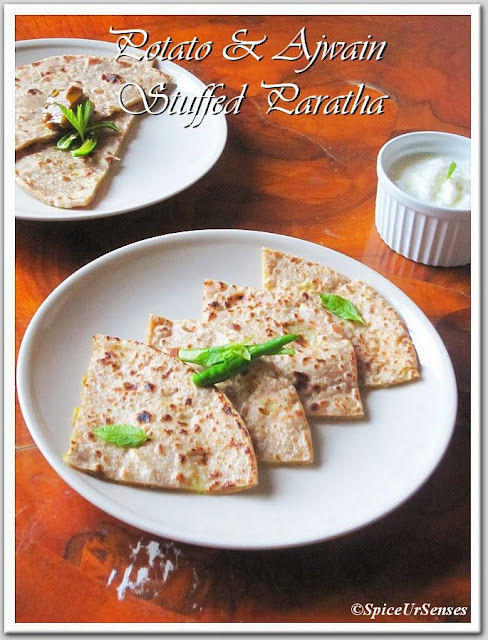 Even I cook stuffed parartha 4 to 5 times in a month by using different filling. 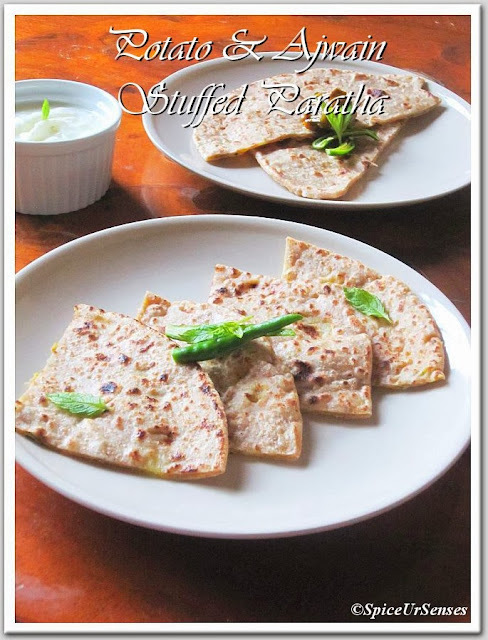 Stuffed paratha in it self is the full meal, just have to serve with curd and pickle.. Prepare the dough using wheat flour and set it aside. In a large mixing bowl, add all the above ingredients and mix them nicely and make a small lemon size balls and set it aside. Make 1 small size of roti and fill the stuffing and close it gently. 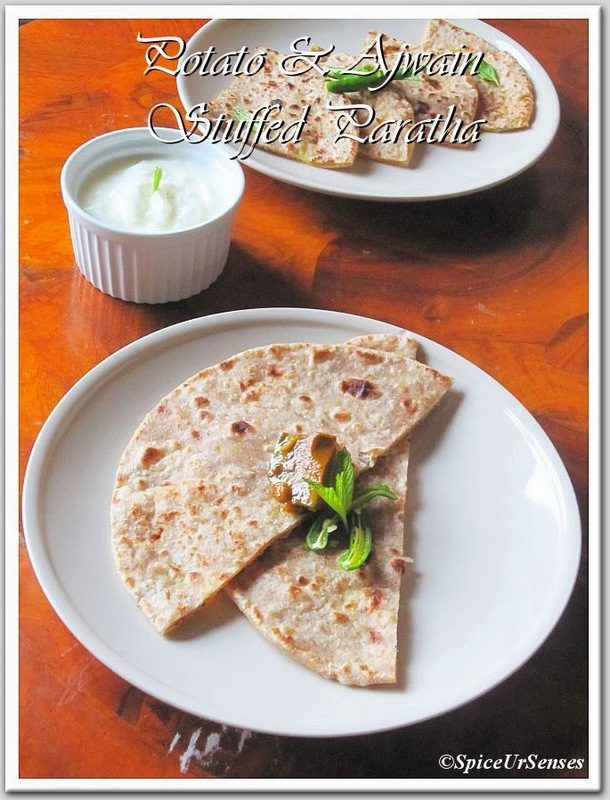 Roll it over on to a flat surface to make a round shape paratha, by using little dry flour. Put paratha on to a pre heated tava and cook both the side using oil. 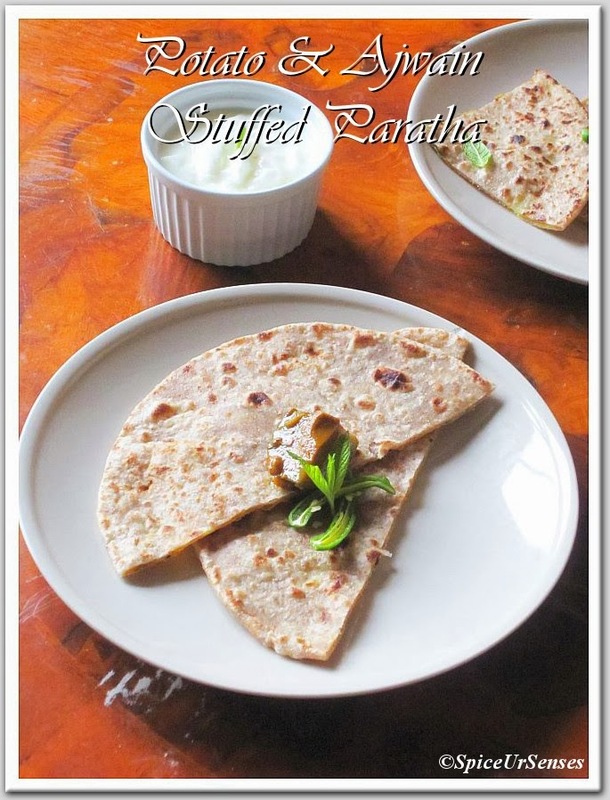 Potato and Ajwain stuffed paratha is read to eat. Serve hot with curd and pickle..
Lovely Aloo Aijwain Paratha ! 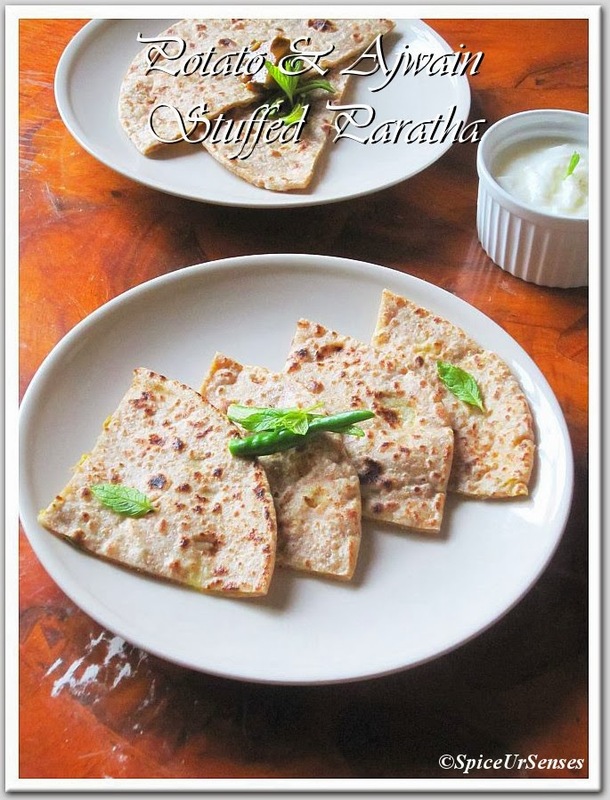 yummy parathas... i love meals as these... u don't need any side dish! Love ajwain in parathas, aloo and ajwain combo sounds prefect for me..Delicious parathas. Yummy filling parathas.. Nice clicks..